Rent apartments and chalets in Innsbruck-Land, Austria. These three holiday apartments (ATI867, ATI003 and ATI004), are located on two floors in Obernberg am Brenner, near the Italian border). The home has been lovingly and tastefully furnished. As a holiday haven you can choose this detached house, which is located far away from the traffic and surrounded by nature. The house is unique in its kind. From the balcony of this newly furnished apartment situated in a serene forest, you have a wonderful view of a private lake. The apartment is only 3 km away from the Tyrolean capital of Innsbruck. These three holiday apartments (ATI867, ATI003 and ATI004), are located on two floors in Obernberg am Brenner, near the Italian border. Each has a private entrance and inbuilt garage. These modern houses located in a beautiful apartment building are found on the outskirts of Trins in a quiet location. 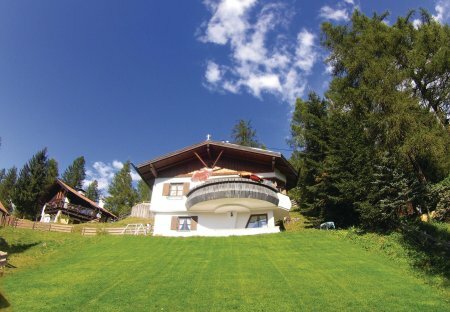 The house is situated on the beautiful mountains of the Gschnitz valley. Two entirely new holiday apartments (ATI701 and ATI702) are situated in a beautiful house which is found on the outskirts of Trins in a quiet location. This is a nice, small holiday home on the Hanselerhof in Rinn. It is adjacent to ATI861. It is comfortably furnished and absolutely quiet and has a wonderful view of the landscape. This cosy holiday apartment in a farmhouse is located in a central, yet a quiet place. Organic products, which are made in house, are available. 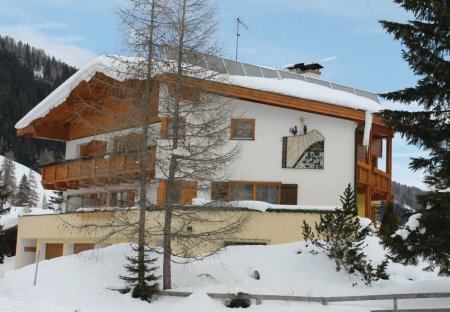 This beautiful holiday apartment is situated in Tyrol’s Gschnitztal which provides wonderful hiking trails, cross-country skiing. This lovingly furnished apartment with balcony is situated in Hanselerhof in Rinn. There is a small playground for children in front of the house.